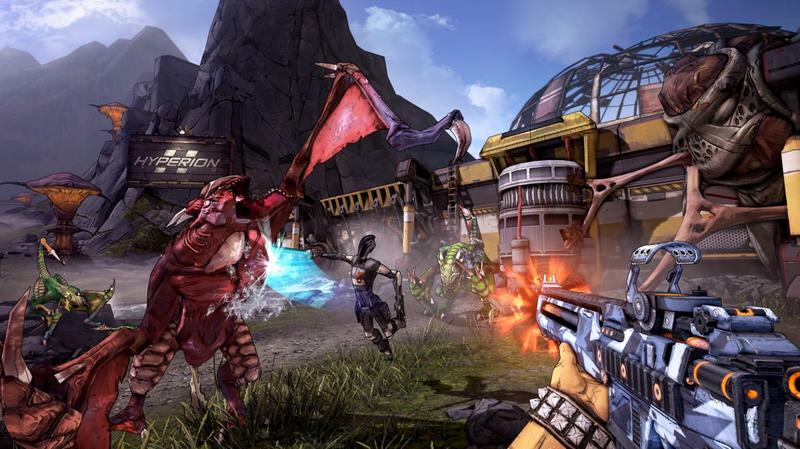 A few weeks back, I made the trek up to New York City in order to have a preview with Borderlands 2 from Gearbox. This was the first press demo for the game, and now I’ve had a chance to settle in, watch the embargo lift and jot down a few of my thoughts. First, a little background on me as a player. I played the original Borderlands, and I enjoyed it a lot. I will say, however, that I constantly found myself groaning about the same set of problems: location variety, enemy variety and the absence of story. The game worked very well as an opening effort in a brand, but its faults were consistent. 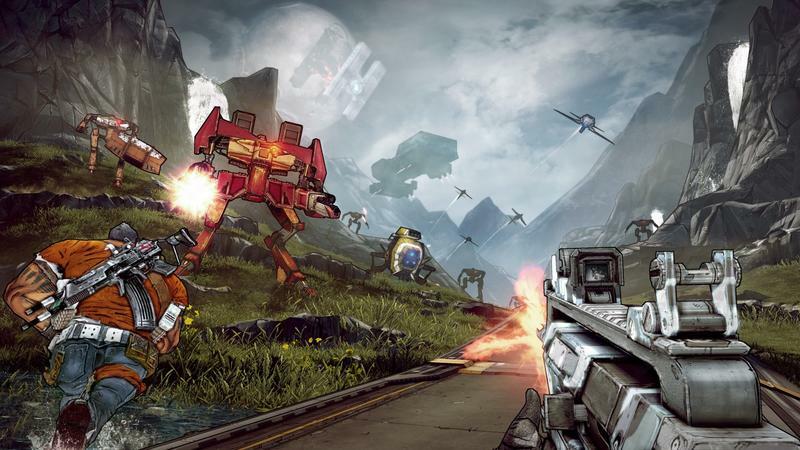 Now, Gearbox is working on Borderlands 2 and has promised solutions to each of my qualms. Based on the preview I saw, they’re headed in the right direction. I spent roughly an hour and a half with the game across two separate mission segments. One mission brought us (I played with a friend) to the green/metallic realm of a wildlife preserve, while the other mission had us fighting all sorts of monsters in the inside of an acid-filled cavern. Right off the bat, the environments were unique. 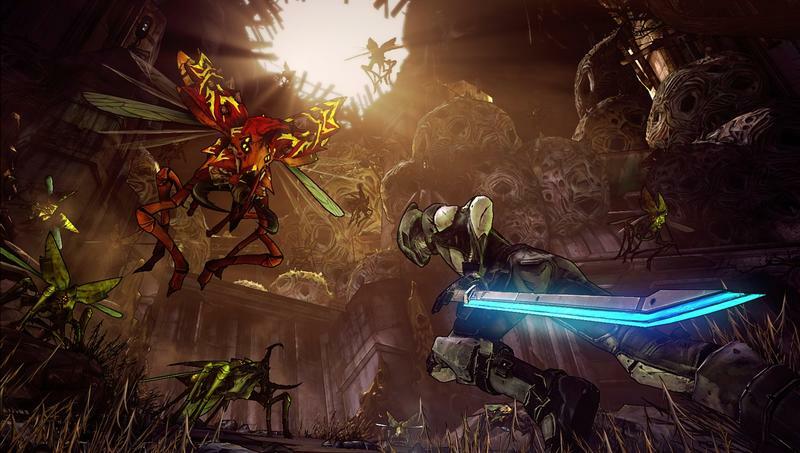 The original Borderlands was extremely brown; this one? The areas I explored were vividly colored in shades of green, blue, yellow and, yes, brown. But, it looked great. There was even some rushing water to take in. It sounds silly, but the time spent in the original game actually made me more than tired of the world around me. Now, Pandora actually looks both gorgeous and varied. So far, kudos to Gearbox. 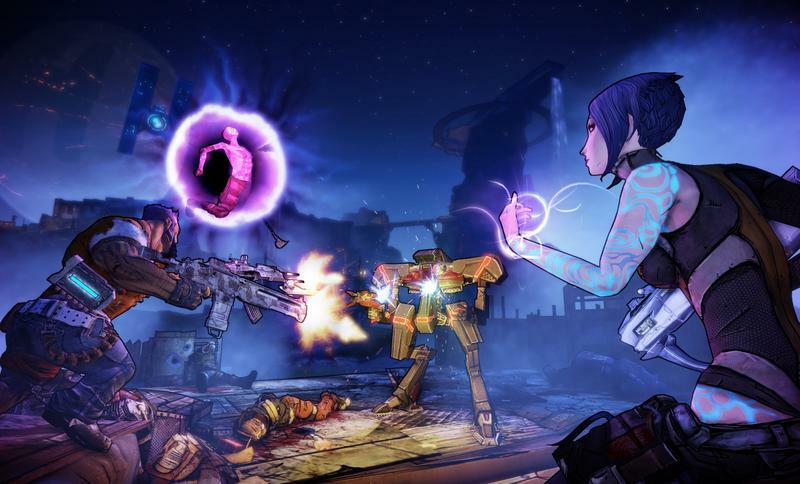 While less than two hours worth of game time in a title that’s likely enormous isn’t enough to fully paint a picture of story, there were several bits of evidence that point towards Gearbox’s solution to the absence of good narrative in Borderlands. Part of a great narrative in gaming lies in the characters present in front of the player. 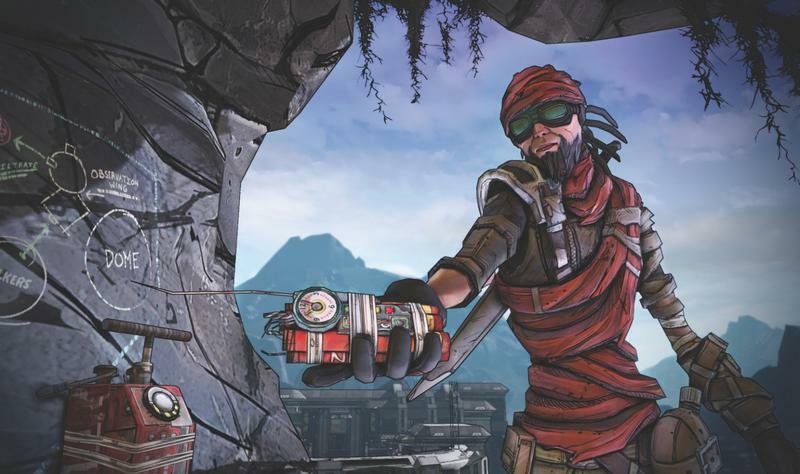 The original Borderlands started out strong with these types of characters. The sultry bunch leading you out of the opening encamptment in the first game lead players to believe they might be in for a wacky world tour. That didn’t happen. Characters became little more than quest-givers with obnoxious walls of text before them. 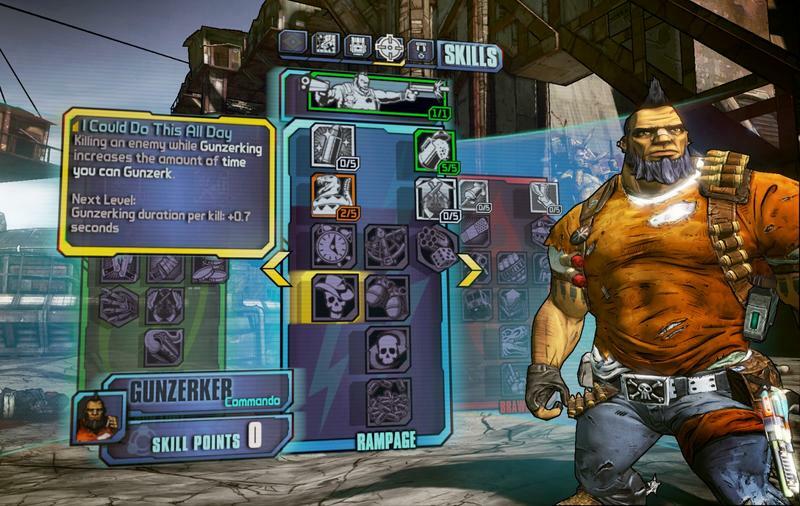 In Borderlands 2, walls of text are gone and characters with voice acting are in. Specifically, I saw this in play for the story-based mission. At the start, you meet up with Mordecai, the sniper-esque class from the first game. He’s an NPC now, and he engages you with a bit of dialogue regarding the wildlife preserve you’re meant to infiltrate. This dialogue is actually spoken to you; it’s not presented by way of quest-giving text. The quest’s objectives spit out in the upper-right part of the screen as Mordecai announces them, but that’s it. That change-up makes NPC characters more tangible and realistic, and while it might not clue us towards the strength of this sequel’s story, it does tell us that Pandora will be supported with a more lifelike cast. One anchor of strong plots in the gaming medium is the presence of an evil force. While not a requirement of great narrative expression, bad guys make storytelling a lot easier. 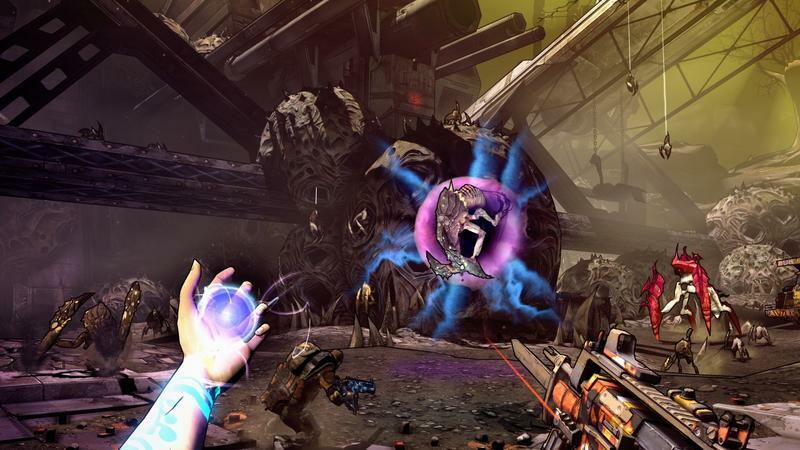 The first game lacked a clear and present enemy, but Borderlands 2 brings us Handsome Jack, his money and his hilariously huge, h-shaped moonbase. Every time you’re outside in this game, at least in the demo I played, you can see Jack’s base in front of the moon. Even further, Jack can launch attacks from said base whenever he wants, and that happened a lot in my demo. He’s gunning for you constantly, and that means you’ll always know the difference between good and evil. Finally, a word on enemies. I fought all sorts of creatures in this demo. I fought bandits, people, swamp monsters with crystal shinguards (yep), giant bird things, elemental combatants and a host of mechanized baddies. In two hours, I was never fighting one type of enemy for too long. Either Gearbox picked two uniquely diverse arenas for the demo, or we’re meant to be fighting all sorts of tough stuff throughout this sequel’s campaign. 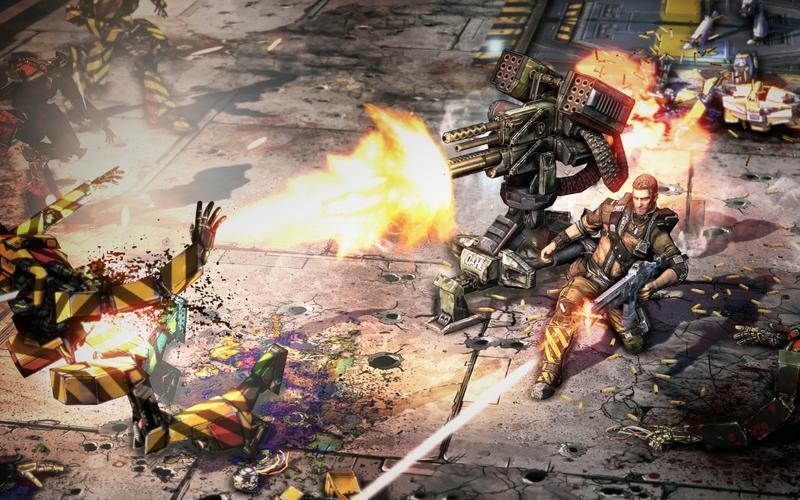 As a fan of Borderlands, I went into this demo curious about three separate concerns: variety of locale, variety of enemy and presence of story. 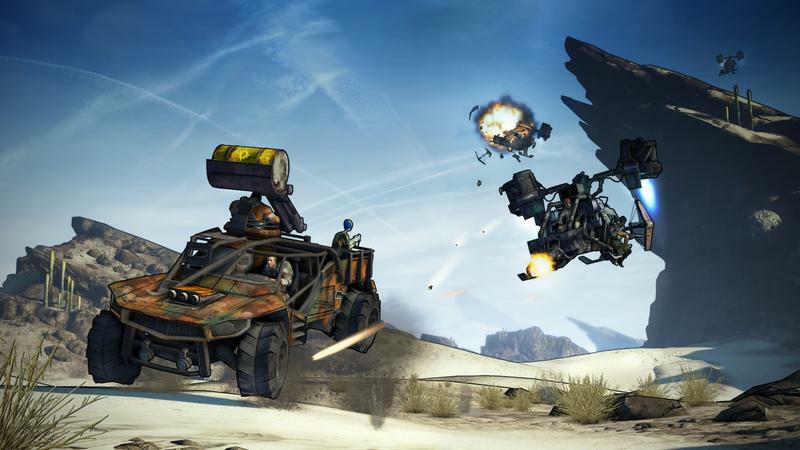 Borderlands 2, so far, has addressed those issues and absolutely smoked them out of existence.